On Friday October 26, Meizu has launched new smartphone in its home country China. 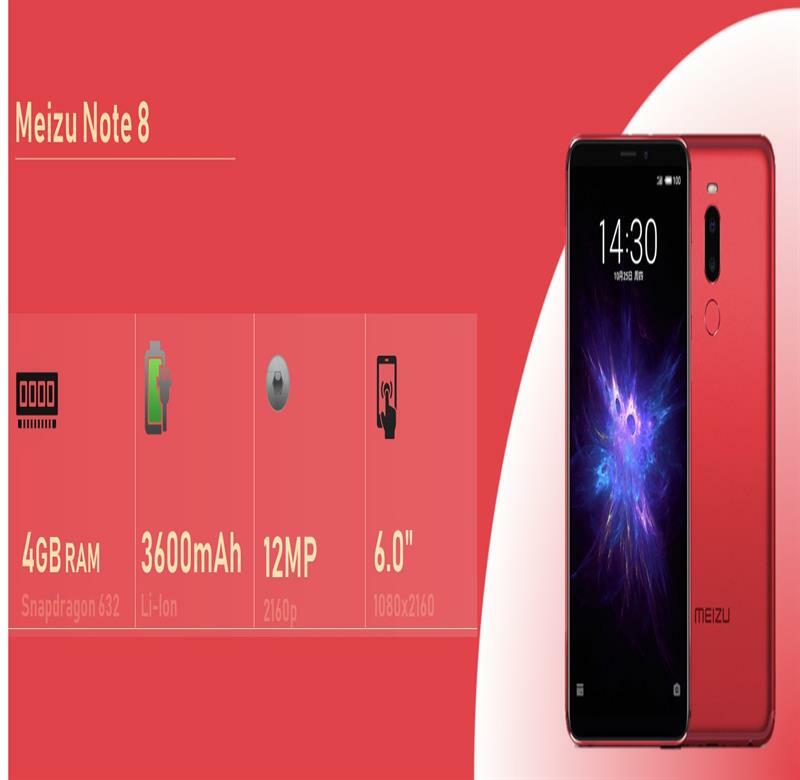 Meizu Note 8 is the budgeted smartphone that sports 6-inch display. Meizu Note 8 comes in one storage variants 4GB/64GB. Meizu Note 8 has launched its new budgeted smartphone in China. It sports 6-inch display and powered by Snapdragon 632 SoC paired with 4GB of RAM. It equips with dual camera setup at rear and packs with 3600mAh battery. Meizu Note 8 has been priced at CNY 1,298 (Rs25,000) and available only one storage variants. Meizu Note 8 is available in four color variants Dark, Grey Blue, Smoke Purple and Flame Red.